The Annual Supper Club Celebration is BACK and better than ever this January at The Lakely! For two weeks only, beginning Monday, January 14, through Sunday, January 27, 2019, The Lakely will once again completely transform into a classic, (and maybe even a little quirky) supper club, bringing a truly authentic Wisconsin experience to downtown Eau Claire. Order from a menu of Wisconsin classics made with local, high-quality ingredients, and explore modern interpretations of traditional supper club fare. Add in some timeless traditions including live jazz, old fashioneds, relish trays, popovers, pink squirrels, and you’ve got yourself the makings of one heck of a night. CALL NOW: Make your dinner reservations now by calling The Lakely’s NEW reservation phone line at 715.559.8553. If you don’t get through right away, please leave us a message and include your name, phone number, desired date and time of arrival, as well as the number in your party, and we’ll get back to you to when the restaurant opens to confirm your reservation. Feel free to text in your reservation request as well! This year, The Lakely is taking the Supper Club transformation one step further and over-hauling The Gallery, located just steps from the restaurant and bar. This space, which is normally home to the hanging art of local artists, will become the Supper Club Game Room, featuring classic video games, cribbage boards, lounge seating and, you guessed it, a pool table! Guests are invited to come for dinner, hang out in the Game Room with a Grasshopper, or even just lounge in the lobby with an Old Fashioned. We’ve got a case of nostalgia, and you will, too. NEW Lock Inn Dates Just Announced! This past spring at The Oxbow Hotel, we held the first two in an ongoing series of events dubbed “Lock Inns” meant to bring fans closer to the music and give them a chance to experience a very exclusive, intimate performance by some of their favorite artists. Justin Vernon and Bon Iver bandmate Sean Carey led the way back in April and May at the inaugural Lock Inns, and are back and ready for more in September and November! So join us on a couple of seemingly typical weeknights – one September 13th, and one November 20th – for a unique and exclusive overnight experience of food, music, camaraderie, and more. 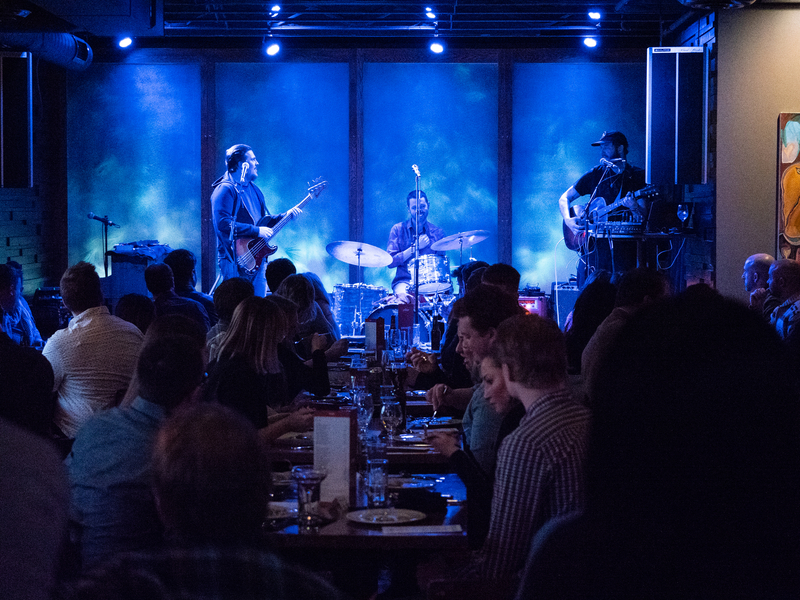 These two events offer fans of Justin Vernon and Sean Carey a rare opportunity to enjoy an evening curated entirely by their musical, culinary, and cultural sensibilities from beginning to end. And did we mention the possibility of special guests?! Upon check-in, throughout the property and bar you’ll hear a playlist filled with songs selected by Vernon and Carey. Then, during a relaxing and very special six-course dinner crafted in collaboration with Chef Nathan Berg, Vernon and Carey will perform live on the stage in The Lakely. Later, they’ll be joined throughout the night by other yet-to-be-named musical guests from their stable of friends and creative collaborators. Only 30 packages will be sold for each date, making each Lock Inn available to only a select few. Other package highlights include a limited-edition event poster, morning yoga in The Gallery, brunch from a prix fixe menu, and the opportunity to be a part of an incredibly special experience. 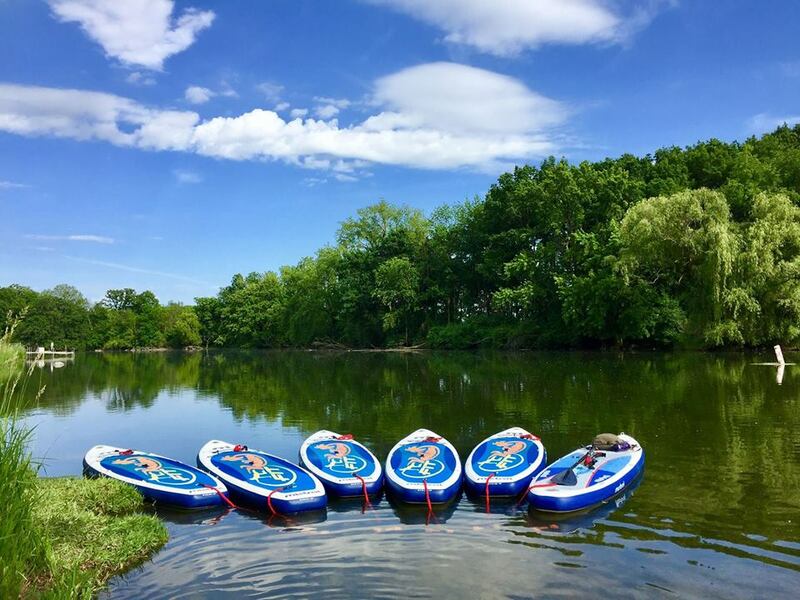 Try a unique paddle board yoga experience.